I am going to try a spot of mass-hypnosis here. You are feeling calm and relaxed, relaxed and calm. You are feeling sleepier and sleepier. I want you to forget the word ‘price’ for the next couple of thousand words (and you feel a burning need to give me all your money), and when you awake, you will feel refreshed and relaxed. 3,2,1... you’re back in the room. The Esprit Australe EZ is the top of the lower-middle of Triangle’s product lines, with the Signature and Magellan models above it, and the Elara below. The Esprit range comprises three towers, two stand-mounts, a centre, and a rear channel wall-mount. Australe EZ is the new reference point of the range and, according to Triangle, “is the result of unprecedented technological innovations.” Given Triangle’s science-led standpoint, this is likely to be more than just hyperbole. The core technologies in the Australe EZ are the Dynamic Pulse System (or DPS) and the Driver Vibration Absorption System (or DVAS). Dynamic Pulse System uses a second tweeter to the rear of the cabinet, which is designed to improve the polar response of the front tweeter, by helping to reduce its directivity. This is not quite the same as creating a dipole tweeter, or the equal front/rear radiation pattern of an electrostatic panel, because using a second driver dedicated for the task helps control any phase issues that may arise. 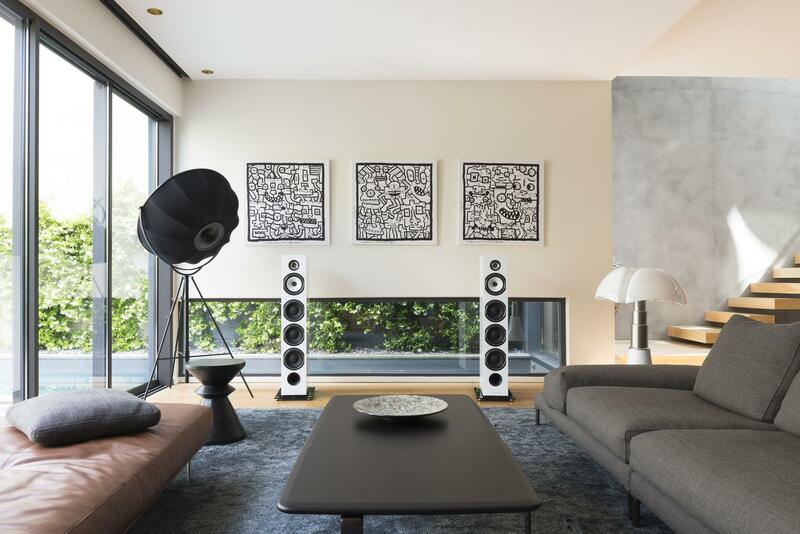 This is not a new concept to Triangle, but to date, the only loudspeakers that have used the DPS concept have been the top of the top Magellan series. All the other models in that or any of Triangle’s other ranges have been more conventional in approach. On the other hand, Driver Vibration Absorption Systems technology is a means whereby the loudspeaker drivers are decoupled from the loudspeaker by what Triangle refers to as ‘reinforcements’, pushed against the magnets of the drive units to limit and damp vibration. These ‘reinforcements’ need to be a little more ‘Commandos Marine’ and less ‘raw recruit’ because the new bass drivers introduced for the Australe EZ have an oversized engine, along with a wood-pulp/carbon-fibre composite diaphragm, and a massive magnet, designed to reach down to a healthy 29Hz. We aren’t finished, though, as the Australe EZ uses the crossover design and even internal wiring of the Signature line. Even the plinth itself is new: a glass platform with a rubber absorbing plate. This both widens the base and lowers the centre of gravity (to pass European tilt test rules) and absorbs the dispersion of vibration from the cabinet into the floor. Australe EZ is a three-way design, featuring a trio of those aforementioned 165mm bass drivers, another different design of 165mm for the midrange, and the front above and rear set of 25mm tweeters, both with a bullet phase plug and deep-set enough to be a quasi-horn. The speaker crosses over at 300Hz (bass-midrange) and 3.9kHz (mid-tweeters), using a second-order network for the bass and a third-order crossover for the top end. The loudspeaker can be bi-wired or bi-amped if so desired.